After reading The Pleasures of Reading in an Age of Distraction, I was up for the challenge of not adhering to a set of reading rules I put upon myself. Especially, reading at Whim. When was the last time you just picked up a book and read it? I still look to journals, book bloggers, and lists to see what’s out there and decide if it’s something I would find worth reading. These books are some I had heard about through those channels but they aren’t my typical reading fare. I know what I DO like but have been a bit burned out by my usual selections. Some call it “Chick-Lit”, “Women’s Lit”, “A Palate Cleanser”…whatever you want to call it, this one was great! 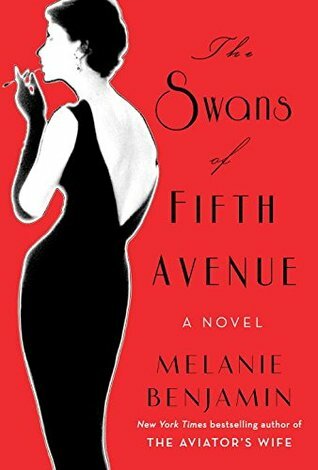 I listened to The Swans of Fifth Avenue and couldn’t stop. I knew of Truman Capote from the usual means; he wrote In Cold Blood and “Breakfast at Tiffany’s”. I had even watched a few movies where he was portrayed as a quirky, literary genius. But I didn’t know about his “Swans” and his social suicide when he divulged much of their inside gossip in the pages of his story, “La Côte Basque 1965”. It could also be called Historical Fiction but I’ll just sum it up as “snarky, scandalous and so, so good!” Thanks Catherine for writing a great post about this one. You were spot on! Graphic Novels and I have a funny relationship. Sometimes I absolutely love them like, Can’t We Talk About Something More Pleasant and others are just ok. Maybe it’s my twitchy, mature eyes that can’t focus. But I did read many in my youth and there are so many new ones out there that cover all sorts of relevant topics. Graphic Novels aren’t my typical fare, but again I was looking for something lighter and fun. 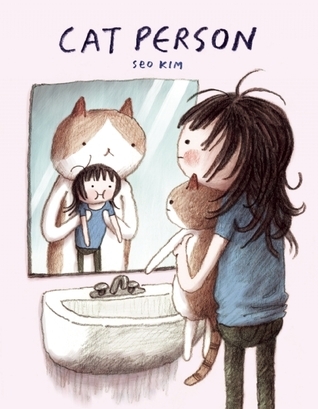 I saw a review for Cat Person by Seo Kim on Kim’s blog (not the author) and put it immediately on hold. She was right, it was fun, goofy and just what I needed. I didn’t realize that Seo Kim was a storyboard artist for the show Adventure Time and after being a bit curious of her artistic style, it made perfect sense. Curiosity and all that, right? I don’t usually read modern retellings of classics, fan fiction, reimaginations, sequels, whathaveyou. But after reading this line from Catherine’s review of Eligible “If you’re a purist about your classics, then you probably ought to stop reading now, pour yourself a glass of sherry and go back to your needlework by candlelight” (again, thanks Catherine), I had to pick it up. I’m not a purist and Pride & Prejudice is a classic favorite of mine. This could have been an absolute trainwreck, and some might still believe it is. But Sittenfeld really captured what the story and the awful Bennett family would have been like in modern day America- the reality shows, social media, short attention spans and lack of social skills. Relationships are more complex these days and there are many more options for women and men in terms of career, family, etc. Sittenfeld weaves all of this in perfectly and I found myself cringing as much as I did chuckle. However, it was lacking something that you can only get from an original. Austen was ahead of her time when she wrote P & P, so for Lizzy to be so forthcoming and “edgy” (in the original) was shocking AND a breath of fresh air for women. There also was not as much romantic tension and witty banter as I’m used to from Austen- it was there, but didn’t really grab me. 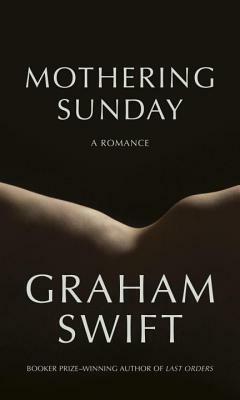 Mothering Sunday by Graham Swift is not the romance book you’re thinking of and I’m not entirely sure I’d call this one a true romance book, whatever that may be. It “begins with an afternoon tryst in 1924 between a servant girl and the young man of the neighboring house.” Jane Fairchild and Paul Sheringham have been secret lovers for years, starting as teens and this very short book (177 pages) is one I can’t decide if I loved or didn’t care for. Stylistically it was a puzzle. It felt repetitive and a bit slow, but the writing was beautiful and the story picked up as it went on. It was one of those books that got better as it revealed itself and as I thought about afterwards. I found myself rereading passages and really savoring the self-discovery of Jane’s character. It was a fluke that I happened to read it on Mother’s Day, a day that was called “Mothering Sunday” in this story. In contrast to other books I read, this one was quiet, slow-building and made me work a bit more than I’m used to. Jane’s particular day impacted her life more than she could have imagined and again reminded me that a story can emerge from the small moments in life. Have you read anything different from your typical and/or favorite genres recently? Tags: Cat Person, classic retelling, Eligible, graphic novels, Historical Fiction, Mothering Sunday, Popular Fiction, Pride and Prejudice, romance, The Swans of Fifth Avenue. Bookmark the permalink. I like this idea for a post! I wish I had my reading list in front of me so I could answer for my own self. Reading outside one’s wheelhouse can be fun, even if it doesn’t work. You never know what gems you might find. Mothering Sunday has caught my eye and your description makes me want to add it to the list. The others are outside my house as well, other than the graphic novel (which, I agree, like books can be very hit and miss), and since you enjoyed the audio of Swans I just might give that a gander. 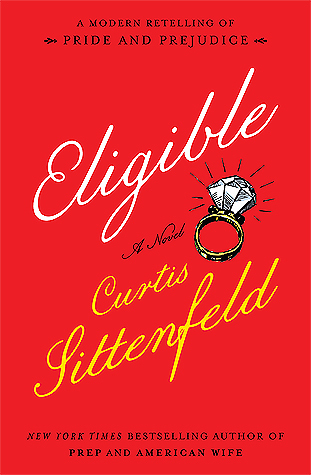 I stay away from retellings of classics as well, but Eligible was awesome!